MISO MASTER UMAMI SPRING GIVEAWAY winner, Jessica W! PRIVACY NOTICE: Great Eastern Sun will not share your information provided with this giveaway. Great Eastern Sun Great Giveaways are good for USA entries only. 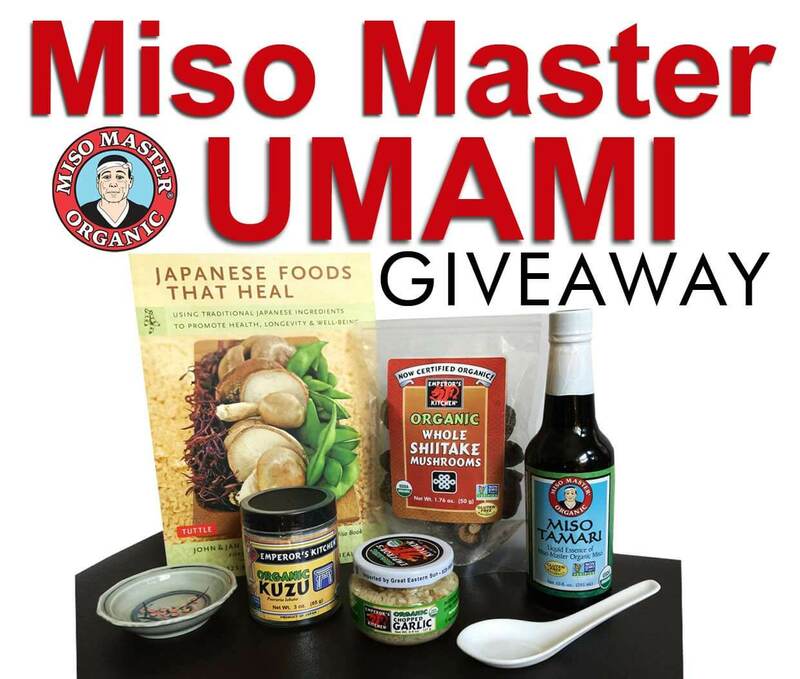 The winner of the Miso Master Umami Spring Giveaway will be contacted by phone and/or email. The Giveaway prizes will be mailed to via USPS mail within 15 days of winning. This promotional Giveaway is in no way sponsored, endorsed or administered by, or associated with Facebook/Twitter/Pinterest or Instagram. You understand that you are providing your information to the owner of Great Eastern Sun and Miso Master's business Facebook. Twitter, Instagram and Pinterest pages and accounts and not to Facebook. Twitter, Instagram or Pinterest. Be sure to share our Marvelous Miso Giveaway with family and friends and in your social media circle! Connect with us on our Great Eastern Sun and Miso Master Miso Facebook pages to stay up to date on our Great Monthly Giveaways!